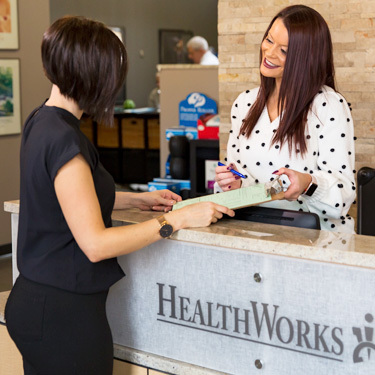 HealthWorks Chiropractic and Rehab welcomes patients of all ages to a warm, comfortable space that meets your wellness needs. 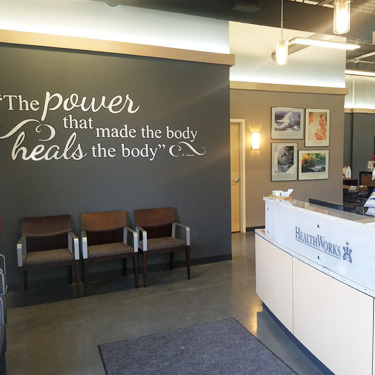 Our modern, state-of-the-art practice not only feels like home, but our compassionate staff is ready to help you in any way possible. Our family-friendly community will leave you feeling healthier, happier, and eager to come back for more. We simply cannot wait to welcome you to our practice. Our intake process is done in two simple visits. Your first visit will consist of any necessary paperwork, a discussion of your health history, and a thorough examination. At this time, we invite our patients to express any questions or concerns they might have about our appointment. 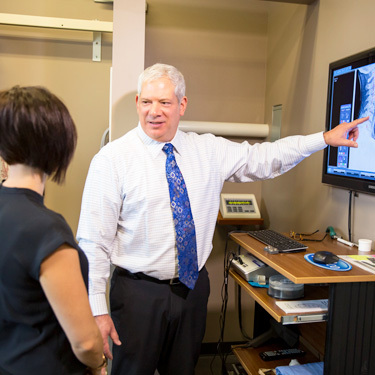 With this information, our leading chiropractors will better understand your condition and choose a suggested course of action that is right for you. 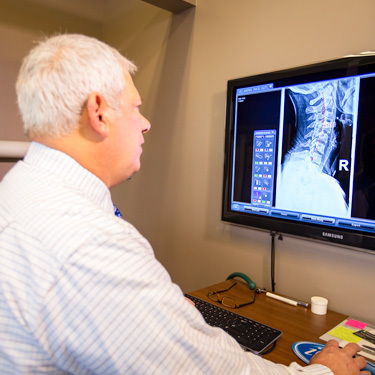 Digital x-rays are available on site. Please bring with you any previous CT scans, MRIs, or X-Rays that may provide us further insight. 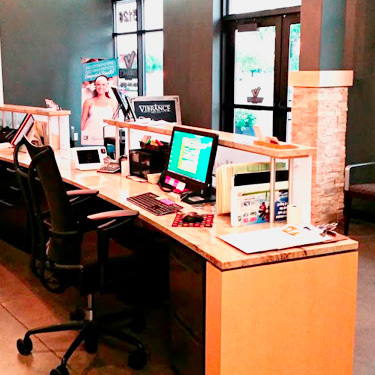 Your second appointment will be shorter than your first visit. 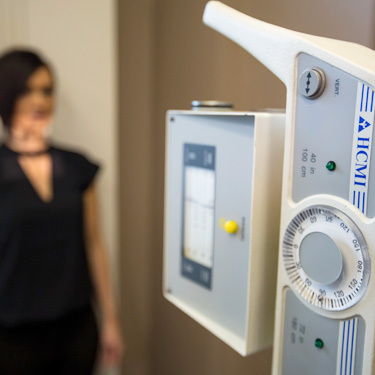 While your initial appointment will last for close to one hour, you can expect your following visit to be between 30 and 45 minutes in duration. During this time, we will review your past examination and go over your report of findings. As we want you to be involved in your health, we are glad to answer any questions about the source of your discomfort. 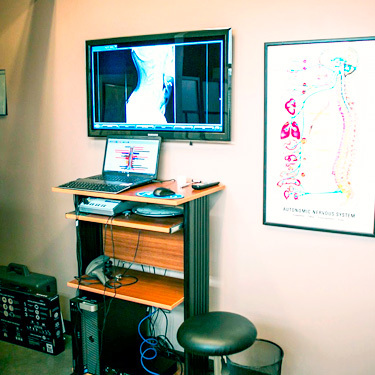 Your customized adjustment will conclude your second visit with us. 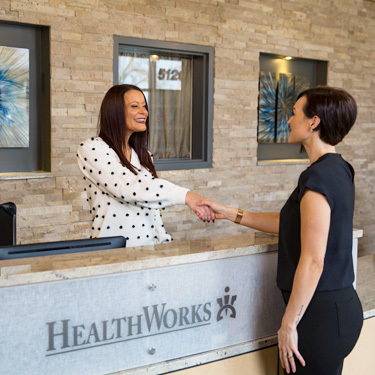 At HealthWorks Chiropractic and Rehab, we believe in treating the patient and treating the patient well. All ongoing visits will take into account your current needs. Our goal is to give you the best experience possible. We are here to listen to you and assist you to the best of our ability. Our caring staff and expert practitioners have your best interest at heart. 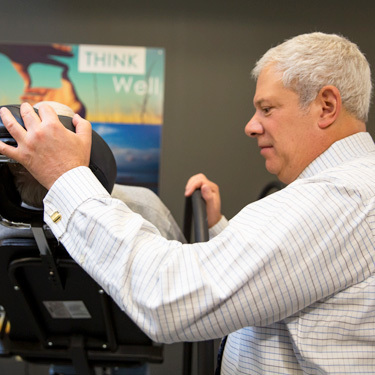 Learn more about how natural chiropractic can positively influence your life by scheduling your visit today!